Yesterday I wrote about being positive for the little people – part 1 (if you haven’t read it, go ahead, we’ll see you back here in a bit). Now for the second installment that I promised. I believe that families are like those bouncy-ball toys that light up. If one family member is lit up, the whole family is blinded. If you can help that one, then everyone benefits. So, here are some ideas to help you stay in the right frame of mind and kick the negative outlook to the curb. Notice your child’s positive attributes and actions and praise them for it (even if your child is nonverbal). Although our son, Jeremiah, is nonverbal, as he has gained more understanding, he smiles and sometimes laughs when we say specific things about him or talk about something that happened to him. Set your expectations a little higher. I don’t mean expect a child who’s never sat at the table for a meal to one day sit for the entire event. Work into things, but don’t let them slide without expectations. For example, Jeremiah is not really affectionate, but he does better than many other kids who have Autism. We’ve a made a point to hug and kiss him several times a day, every day. He’s much more attached to his Dad, so my kisses and hugs were less acceptable. I kept at it and he finally smiles and lets me give him a kiss before Dad puts him in bed. It took four years, but I won! A child knows when we have higher expectations for them. Be aware of your words and your facial expressions when you’re around your child. This should be obvious, but I don’t think it is. I’ve been working on this recently. When it comes to my two kids, I am completely different in what I say aloud about them. Because my son is nonverbal and has less understanding (although this area is really developing lately) I fell into a trap of complaining about his behaviors when he was within earshot. Yeah, I know, not cool. One of my big issues was commenting on how difficult he was on certain days. 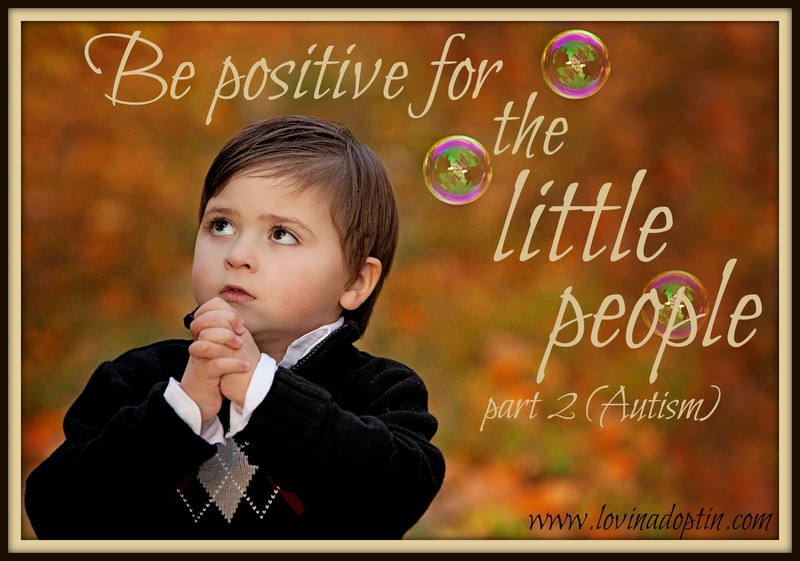 In Be Positive for the Little People (Part 1), I mentioned Joanna’s article. Her first point really hit home with me. She says, “Just because someone is unable to communicate verbally, it doesn’t mean they are unable to hear.” It seems so obvious when I write it out or read it, but it’s so easy to forget when we have a child who can be trying. Even parents who don’t have a nonverbal child can fall into this habit, it’s difficult to find time with your spouse, and when you do, you don’t want to be a dump truck, so you may complain about your kids in front of them. There are many views on Autism, just as there are many personality types, varying forms of Autism, and different people. Some people can see the amazing and wonderful capabilities the person with Autism has. And some find it problematic, maybe their child is nonverbal, has no social skills or emotional connection, or has a commorbity such as Angelmans syndrome. 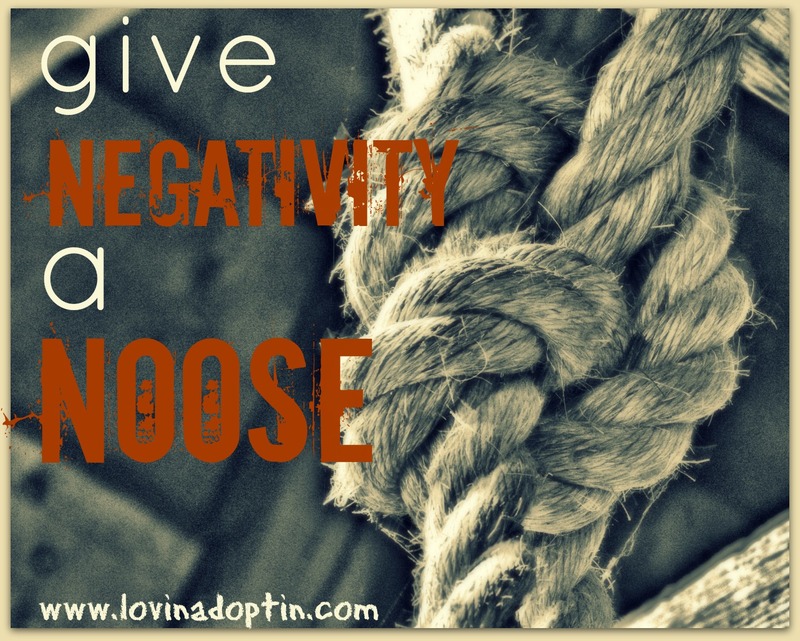 What I do know is that we all have to work at focusing more on the positives and kicking the negatives to the curb, and I know in one day there can be hundreds of negatives. I hope this gives you some ideas on how to be more positive with your child. If you have ideas, please share them with us, we can all benefit from other’s experiences and insight into the special needs world. If you know someone who has a child with Autism, or even a Grandparent or friend who would benefit from learning more about the subject, feel free to share this with them. You can receive each post made here by subscribing in the upper right, and you can follow me on Twitter and Facebook.